Sandals Opens a NEW Resort in the Bahamas! Welcome to the family Sandals Emerald Bay! This 500-acre resort is located on a one-mile stretch of beach on the Great Exuma island of the Bahamas and is set to open January 22, 2010. There are 210 rooms. Well, rooms may be a bit of an understatement. The "rooms" are all gigantic, luxurious, and all oceanfront with butler service at no extra cost, so you can't go wrong with even the lowest category. A brand new 1 acre pool with a unique feature, a fire pit and seating area in the center. The first Sandals Marina, a 17 acre stand alone complex, with full service deep water access for yachts up to 300 feet in length, and 133 slips . A world class championship, "Greg Norman" golf course. Six restaurants including the popular Sandals favorites an Italian brick oven pizzeria, and a traditional English Pub. Plus, of course, you will experience all the typical wonderful Sandals amenities, such as all inclusive drinks, meals, snacks, diving, snorkeling, water sports, land sports, etc. 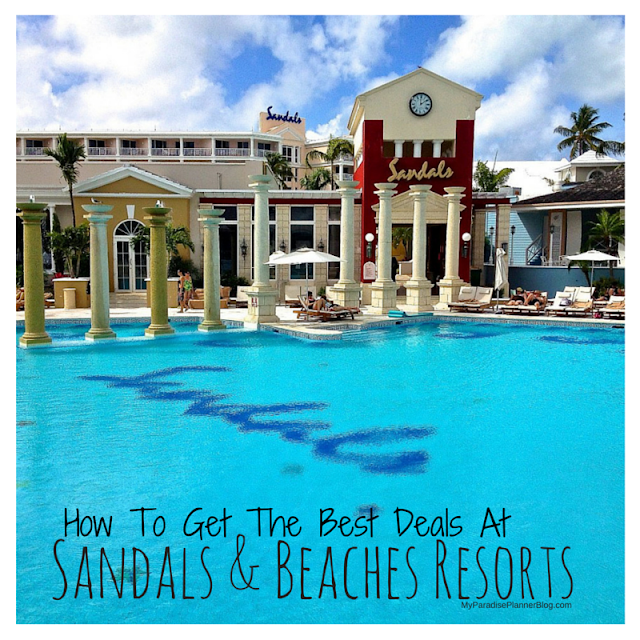 The best part is, Sandals is offering a 50% off Grand Opening Sale! Hold your room now for a little as $400 and come see the wonder that is Sandals. *Sandals purchased the Four Seasons Resort and has turned it into the lavish Sandals Emerald Bay. Some of these photos are of the old Four Seasons property, which may differ from the look of the new Sandals property. You may visit the Sandals Emerald Bay website for photos of the new property. Another Reason Why I Love JetBlue!